Want to know how to meet women, create conversations, and go on dates, all by being yourself? So much infomration out there on the internet tells guys not to be themselves. It encourages you to use “game” tactics, manipulation, and other ways to “make” women like you. If you are tired of this and looking for ways to simply meet women and create relationships by being yourself, then this episode will help you do just that. 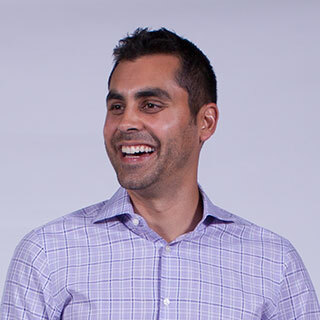 Join Dr. Aziz as he finishes his interview with Sean Cooper, in which they discuss approaching women from a place of authenticity and honesty. Get a copy of Sean Cooper’s powerful program here. Welcome to today’s episode of Shrink for the Shy Guy. Today’s episode is called, The Genuine Approach, which is in contrast to the disingenuous approach, the inauthentic approach, the phony or fake approach. And what I mean here is I mean approaching women for dating and relationships that you can apply these to many areas of your life, in fact any area were you have social interaction. That could be with friends, colleagues, your boss, co-workers, acquaintances, friends of friends, strangers out in public. How do we be more genuine, because isn’t that what you want on some level? I mean, ultimately we want to feel good about ourselves, we want to feel loved, we want to feel worthwhile. But there are some challenges that come up when we try to get that love by being fake or phony. And ultimately we can only really receive it when we are being genuine. In fact, I want to read a quote by Brad Blanton, who is an awesome author. He wrote a book called Radical Honesty. In fact, I’m going to be interviewing him in a couple months on the show, so stay tuned in for that. But here is a quote from his book Radical Honesty. This is something that I really relate to in how I lived for many years. And even as I started to learn some of the pick up art stuff, it was all about manipulation to get this woman to see me in a certain way and to like me. And that’s what I call the standard approach. You know, if you’d think about how we approach people for dating and relationships, it’s the standard approach; the default approach which involves putting on a pretense, acting cool or disinterested, not wanting to seem too eager, acting kind of gamey, it’s having a script of what you say, not being vulnerable, doing something that you think is going to produce a certain effect in her. And that is sort of just commonsense. That’s what we’re taught to do. And if you think about doing something else, people would say, oh that’s going to go terribly. But my response to that is, really? What about a new approach, what about a genuine approach? What would that be? Well that be going up and sharing what’s going on in you mind, sharing what’s happening in your experience. When you do that, when you take that risk, it’s scary before you do it but then once you do, you are in life, man, you are off the sidelines and it gets exciting fast because you have no idea how is she going to respond. You’re just living a life on the edge and it’s exciting and accelerating and terrifying but damn it, you’re alive. And that adds the distinction between controlling and relating. And Susan Campbell is another honesty teacher who talks a lot of this in her book, Getting Real, the controlling versus relating. Controlling is when you don’t say something or you hold something back, or you say something to try to get a result in the other person, you’re trying to manipulate how they see you and how they feel about you. That’s trying to control them, versus relating. That’s just sharing what is going on in your experience in the moment, what you like, what you don’t like, what you want or don’t want, what you appreciate, what notice, what you feel, what you think. And you just relate that and see if they relate with you. So let’s apply this to get a better sense of what is the new approach, the genuine approach look like in the segment, how do I talk to her? Another client that I’ve been working with for a little while and he is just really taking to the stuff and taking lots of the risks in his life and really wants to be this genuine way in the world and really like who he is in show up as he is, tell it like it is, not stop in hiding behind shyness or the nice guy role. And he was telling me that there is this woman that he works with. And he works in a big organization so he doesn’t see her that often, and he kind of has to go to her wing of the building to see her. And he does so once every couple of days because he has to go over there for some reason. But he really wants to talk with her. He really wants to ask her out. Hey, if he is honest he probably really wants to sleep with her and see if you can have a relationship with her, wants her to be his girlfriend. And yet he goes there and yet he either doesn’t talk with her or he does a little bit chit-chat, kind guarded chit-chat and then exits the conversation. Not satisfying them, he wants more. So what was the genuine approach look like in this situation? Well, I don’t know. It could look like anything because really with it’s based on is what going on inside of him and his mind and his heart and his body in that moment when you goes and talks to her. But some examples of things it might be would be in walking up to her and saying hey I wanted to talk to you for a second. And he says, sometimes she is busy and he doesn’t like to wait around. But I would say, well what if you just waited around for a minute and then she is free, say, I’m been waiting to talk with you. She says, okay. Well, here is the thing, I have been thinking about you for the last — I don’t know, two months. Ever since I saw you here and keep coming by this side of the building and I want to ask you out because I think you are very beautiful and I want to see if there is something there but I’ve been too nervous. I’ve just kind of held it inside and so I talked myself out of it but I’m not doing that today. You want to go out some time? Wow, isn’t that different? Isn’t that totally vulnerable and honest? For me I found like kind of refreshing, realizing that I could do that, that I didn’t have to have some script or plan thing that I would pull off that would just make her want me. And here is the thing. My biggest fear was well what if I’m honest? Then she is not going to want to hangout with me. She’s going to think I am too much of a loser. And she finds out that I was nervous to ask her out, she’s going to think, well this guy is not worth my time. But that’s all just fears that we have and that’s not the reality when you really start doing this approach. I found that I got tremendously powerful responses from women. And people love you for you, for your honesty, for being who you are. Now, there is a caveat I want to mention here which is I call the spill your guts phenomenon. And what happens there is, there is a woman that you’re interested in but you’re not honest with her. You don’t do the genuine approach, the direct approach. What you do is, you are kind of lying and you just become her friend. And I’m not saying this from place of judgment because I did this a number of times in my life, where I’m like, oh yeah, no I’m going to pretend like I don’t want anything and I’m going to hide what I want, I’m not going to be direct because if I am, I think you’re going to reject me. So I’ll just be your friend. And then you act like her a friend and you are her friend on some degree but you really want more. And then it builds us so much inside of you that you can’t contain it and then one day you profess your love. And you say, oh I’ve secretly been wanting you and I love you and we should go out. And you have all these feelings that are not matched by her because you haven’t let her in on our experience. And that sometime often backfires. A woman says, whoa, that’s too much. And my response to that is, don’t do that from the beginning. Just, if you want to spill your guts to a woman that you’re in the friend zone with right now, do it and maybe you’ll get a good response but most likely you won’t and that’s going to teach you from now on be upfront. And she says, we should just be friends, say, that’s actually disappointing because I want a lot more than that, in fact I want to take you to bed. I think you’re amazing. And there you go, see what happens, be bold, be genuine. Take those risks step into life, stop hiding behind the fear of something bad happening. Bad stuff is going to happen either way and you might as well let go of the illusion that you can control it all and just start relating to people. So, I’m going to share more about this in my interview with Sean. We’re going to hear more from him and his thoughts about the genuine approach, how to be authentic and honest and how vulnerability and authenticity are actually powerful ways to connect with women and with everyone and ways to reduce and eliminate your own sense of inferiority or not being good enough or shame. So we’re going to take a brief break and then we’re going to jump back in the interview with Sean. And I’ve had similar experiences. It was a real turning point for me because I remember you mentioned something in the very beginning here about some of the research you did was stuff on the internet about the guys teach you on how to meet woman and I don’t know if you delved into it but that’s what I would call the pick artist community, that’s the stuff that I looked at. And there was nothing in there and the stuff that I read and watched about being vulnerable. It was the opposite. It was about being in charge, being dominant and it just really reinforced more shame in me. This is how I have to be. And a turning point happened for me when I was like, you know what, I don’t have to do that. I can be me. I can walk up to someone and introduce myself or start a conversation by saying, I noticed you where there and I want to come to talk to you. And, or I did this. It was like, I remember one time, I approached a woman I said like, you know, I want to share something with you. She is like, what? I was like, I noticed you over there. I think you’re beautiful. I really want to come talk to you but I was nervous as hell to do it and I was about to walk away. And I decided to challenge myself and I wanted to come to talk with you. And it’s the weirdest thing to say to someone. I mean, as soon as I tell people that and they’re like, geez, you need to work on your game man. And but for me, it wasn’t about game, it wasn’t about, you know, getting her number and seducing her in six minutes with a hypnotic technique or something. It was about let me really deeply heal this stuff. Let me get so comfortable with who I am that I am not living in fear all the time. And just like your story, it actually led to a fascinating conversation. What I find is when we take the risk to be vulnerable, other people can let their guards down too and she did that with me and we ended up having really interesting conversation about shyness and doing what scares you and she was fascinated with me and my story. And we ended up going on a number of dates. So, I just really want to reinforce your story of being real. Sean: Yeah, I mean that definitely sounds like it would make an impression on someone. I think people are usually — they do have this belief that they have to — if someone is like an unconscious type of strategy that shines social anxious people do and that they tried to manipulate or manipulate how other people perceive them or they try to appear to be something different than what they think they actually are inside. And I think this creates like a whole ton of stress. It turns socializing into a type of performance which in some cases I think social anxiety almost like a performance anxiety. People think they have to perform a certain way to get approval. Yeah, that was a great story because, oh yeah, I just wanted to add — because like when you approach that woman and you’re just completely honest with like what exactly you were thinking, probably she was impressed because there wasn’t any performance in the way that you were talking to her. You were just sharing how you actually felt and at the time. Dr. Aziz: Yeah and that’s the part, more of that paradox is that confidence is not being totally, you know, impermeable and strong and on and just knowing exactly what to say and do and not having fear. I think that’s like it, that’s what the kind of maybe some of the older unstoppable confidence type of programs and self help stuff teaches and that’s what they sell and damn, that’s what we want, right? But the reality is I think true confidence is being able to really be who you are and be more and more accepting of that, being able to admit a fault or a flaw or a fear or a shortcoming. That takes an incredible amount of confidence. And the more you can just get comfortable or willing to do it and you’re probably not comfortable at first but the more you are willing to engage in that practice and then the comfort does start to follow, the more truly confident you become. And, you know, and even doing it for years myself I still have to catch myself because I’m sort of like, oh no, okay, in other situations being real and vulnerable is good but not now. Now you need to perform and I’ll do that for a few weeks or something else and all of a sudden I’m like ah. There I am, there I go again and just finding that way back to being — the curse to be vulnerable as Brene Brown says which I really love that phrase. I have a question for you. And this maybe is — you probably tailor it or you would tailor to each individual person but you may, you can have an example of eye contact earlier. What are some of your favorite kind of basic social exercises or experiments or new behaviors that someone who is just starting out with this stuff, they’re starting to examine their beliefs, they’re willing to challenge them. But they want to, you know, try little baby steps, new things in the world. Do you have any one or two examples of things you did or encourage guys to do to start to practice this stuff in the world? Sean: Yeah, sure. Yeah, like you mentioned, I think definitely the majority of this depends on what an individual guy’s goals are and where he is starting out right now, a guy or a person. But I think if I was just going to take a generic example of someone who feels really shy around people or feels social anxiety. One good thing for sure is to practice with eye contact. A lot of people have social anxiety even when they are talking to people like talking to their friends. They don’t usually make a lot of eye contact, so, just taking like one or two small steps to stretch their comfort zone like make eye contact with people 30% more often. Or, they could do an exercise like if they feel nervous about asking a question in class or speaking up at a meeting at work, then they can make it a goal to do to just speak up one time, to raise their hand one time and ask a question. It really depends like what’s somebody’s goal is. If a guy wanted to learn how to approach woman like if that’s the goal that he had, then he could start off by just stopping people and asking them for directions. And at first, just getting comfortable and relaxed, doing that type of exercise and then slowly he could maybe push a little further. Like he could stop a woman, ask for direction and then he could ask like one more question like how is you day today or something like, oh, so what do you do here? Like something very basic and simple to like see if she is open to starting a conversation. And then as they kind of ramp up, then they could do more risky type of approaches like kind of like what you mentioned, opening in a very honest and direct way. Yeah, do you have any like specific problems or situations you’d like me to talk about? Dr. Aziz: No. I think that was a great overview of just in several different areas and different examples of very specific practical things that someone could do literally right after listening to this. In fact, that’s what I’d encourage, you know. Obviously, you want to take something that’s just outside of your comfort zone but not a huge leap because in my experience, if it’s too big of a leap and you haven’t started working on this inner shame work and some of the other things that Sean teaches in the system, then you kind of set yourself up for failure where you do it and then it just reinforces. Like, oh that sucked. I shouldn’t have done that. So I really like the idea of taking those little steps. So finding out what’s the edge of your comfort zone and you’ll know, you kind of feel inside of yourself and if something is like a 10 out of 10 in terms of anxiety, then maybe you pick something a little less so that the more simple approach I guess, like asking someone what time it is or for directions. Is a much easier way to challenge the comfort zone than I got to go, you know, pick this girl up and get her number or something like that. That’s just might not be a good place to start. We’re going to take a quick break right now and then we’re going to keep hearing more about Sean’s thoughts on being vulnerable and authentic and how to overcome and free yourself from that fear of something bad happening from just being honest in your life. So stay tuned, we’re going to get right back in the interview in just one minute. Dr. Aziz: Yeah. Actually, I remember, I read a lot of stories about guys who struggle with shyness. And then they kind of share about this idea that, you know, maybe they should go out and they should meet women like in the street or in bars or whatever but it’s too big of a leap, too big of a step. So they end up doing nothing, they just feel anxious all night or they walk around the streets and they feel anxious. And they don’t realize that anxiety has to be overcome in a kind of gradual way. I know you talk about this in your book too that it’s kind of like a ladder, they have to step up one step at a time. Sean: Yeah. Absolutely. And that just brought back some terrible memories of cruising the streets of Santa Barbara when I was in college and just like hanging out with several other guys and there is a range, you know, some of the friends I had would — were like me or maybe more comfortable but still wouldn’t really approach a woman and there is always like that one or two guys that I knew who just do it. And so then I would watch them but I still had the belief at that time that there was just something fundamentally different about me and that guy. And so, I wasn’t watching from a place of like, oh, I wonder what he is doing. How does he do that? What is a body language, what does he say? It was more just like, wow! Look at some Sam over there, God, he is so much better than I am. I am one pathetic loser. And so yeah, that — but each time was like, okay, this time I’m going to go out and I’m going to do it but it was too much. It was too much to bite off at one time and the gradual stuff. And the beauty of the gradual stuff is, it’s almost like the ladder. If you imagine you’re climbing the ladder, one wrung at a time, the magic of this exposure work is, the ladder actually almost likes starts to fall a little bit as you start to climb it. So, that might be a little hard to conceptualize but it’s like, there is that thing that’s a really anxiety like going over to two women who are sitting in a café and starting a conversation with them. You know, when I was really stuck in shyness. That would be like a 20 on a scale of one to 10. I mean, no way in hell I do it. And as I started to work in a gradual stepwise fashion on making eye contact, friendly greeting practice, saying hi to people on the street, working my way up to asking woman what time it is. All of a sudden talking to a woman instead of being a 20, went down to like a 10 or a nine even before I’d even gotten there. There is just something about that like courage that you build up piece by piece that so then everything starts to become within your reach once you’ve really done the ground work and worked your way up. Sean: Yeah, I definitely agree with that. Dr. Aziz: So this is, this is a good time perhaps. Well I don’t know if you have any other questions for me, I was going to move into just a little more information about how people can find out about your stuff, where they can go, maybe a repeat of what it is that you offer and how people can really benefit from working with you and what you got out there. But before I jump into that, do you have any other questions or any other things that you’d like to ask me or share? Sean: No, I don’t think so. I think we talked about lot of different areas in this interview and I definitely learned a lot from you just in this past hour we’ve been talking. Dr. Aziz: Oh, likewise. Sean, likewise, and so yeah, maybe you can share with people listening where can they go to find your stuff and just a little bit about what they can get from your system and anything else that you offer, just the resources you have to help people who are struggling with shyness and social anxiety. Sean: Yeah, absolutely. So, my main website right now is ShynessSocialAnxiety.com. 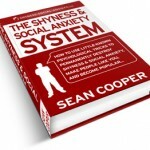 If you search for Sean Cooper, Shyness Social Anxiety then you’ll probably get to it. I recommend that if somebody is listening to this and they like what I teach, then they should sign up, put their email into a form on the website and then you can sign up to my newsletter. And also you should be able to check out my system, The Shyness and social Anxiety System. I actually recently updated it over the past few months into a whole new version number two which isn’t the core ideas inside it aren’t completely different. But a few like I really flushed out a lot of the different ideas and really got to the core which is toxic shame in this new one, and brought it even more practical steps that people can take. And I’m going to be sharing this interview with my own audience too. So if you want Aziz, you can tell people how they can contact you or to reach you as well. Dr. Aziz: Sure. So the best way would be starting with my website which is SocialConfidenceCenter-dot-com. If you just Google the term social confidence, it should be at the top there. And there is a wealth of free information on that site. Dozens of videos and articles about a lot of the stuff that we’re talking about and sort of the main areas that that shyness and anxiety will be holding you back. Dating and relationships, your career and work and public speaking, being able to step up and put yourself out there at a higher level. So there’s free articles and resources for all of that stuff and of course, if you want to go deeper, I have a variety of programs that focus on different things. There is the confidence code which is an introductory program that kind of gives you the basics of self-esteem and an overview of social skills and how to build them. If you want to do like a powerhouse program it’s called Confidence Unleashed and if that stuff about emphatic declaration and how to really activate a sense of power in yourself which intrigues you, Confidence Unleashed is a great one. And then my favorite one which is pretty new is called 30 Days to Dating Mastery. And I take what Sean and I were talking here and really packaged it in to a way that you get an email from me each day for 30 days that gives you a brief strategy session, a new concept or an idea that will help transform how you see yourself in some way and then a mission. So you have very practical steps and it guides you step wise, you know, how to climb that ladder bit by bit and all the missions and exercises are all mapped out for you so you don’t have to come up with that stuff. 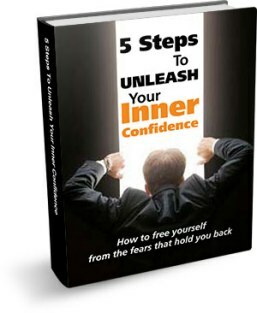 There’s also a couple of free EBooks on my site, Five Steps to Unleash Your Inner Confidence and How to Overcome Your Fear of Public Speaking. So, just really, like with my stuff and with Sean stuff, the only thing you really have to do is take action because his story and my story, we spent a lot of time just kind of waiting and not taking action and then as we realized, when you do is when your life transforms. And so I highly recommend checking out my page or Sean’s and really transform your life which is well within your reach. That’s very possible for you to do that. Sean: Yeah, yeah, that’s awesome. I definitely recommend checking out your stuff because I’ve gone through your book and some of your videos and articles and I can tell like you definitely really know what you really know what you’re talking about and you give a ton of very practical techniques for people to go out and they can use immediately to start to improve their life and to get the type of life that they want and friends or confidence or romance. So, yeah, definitely and it was really good talking to you. Dr. Aziz: Likewise Sean. Thanks, thanks again. We’ll have to have you on the show before too long again. So thanks so much. Sean: Alright, great! Talk to you soon. Today’s action step is simple. Try out the genuine approach. Is there someone who you have a crush on, is there someone that you want to ask out but haven’t for X number of months? Are you waiting for something magical to happen where you know it’s going to work out? What if you just took the risk? What if you didn’t have to have the perfect line? What if you just jump in to life and just shared where you were in your head, in your heart, in your mind and see what happens? Jump in to the flow, jump into river. Amazing things can occur. A lot more is going to occur for you than if you just stayed in your head for the next six months and then she moved away and you never saw here again. So find that person and be genuine with them. If there’s no one that you’re currently pining over in your life, try it out with a stranger, an attractive women at the supermarket or coffee shop. Try it out. If you don’t want to try the dating approach, try it out with a co-worker or a colleague, just be honest or direct be genuine about what you’re really thinking and feeling and see what happens. That’s all the time we have for today’s show. Next week, we’re going to get into the comparison game. This game that we all play where we’re constantly comparing ourselves to other people and often ending up on the short end of the stick which makes you feel bad about yourself. So we’re going to learn how to identify and how to break free of that forever. Stay tuned for next week’s show about the comparison game. Until we speak again, may you have the courage to be who you are, to share who you are with the world, your thoughts, your feelings your ideas, your desire and ultimately, the know that you’re awesome.